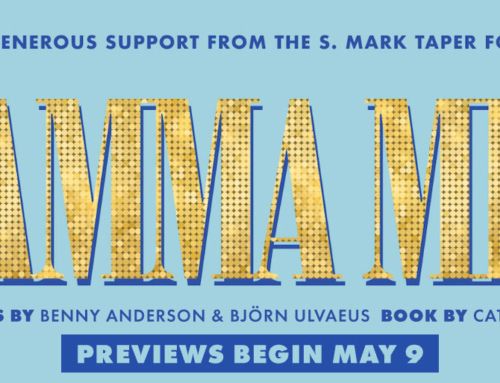 East West Players, the longest-running theater of color in the country, is seeking Musical Theater Performers to play Asian, Pacific Islander American and POC for MAMMA MIA! Rehearsals begin Tuesday, April 9, 2019. Technical Rehearsals begin Tuesday, April 30, 2019. Previews begin Thursday, May 9, 2019. Opening Night is on Thursday, May 16, 2019. Runs for four weeks (5 performances a week) through June 9, 2019. Option to extend until June 23, 2019. AEA SPT Cat. 5 Contract ($425 per week plus benefits). Non-Union performers ($200 honoraria per week plus EMC credit). DONNA SHERIDAN (to play AAPI Female 35+) – Sophie’s mother, owner of the hotel Villa Donna, and wife of Sam at the end. Mezzo or Alto E3 – C#5. SOPHIE SHERIDAN (to play AAPI Female 20’s) – Donna’s headstrong 20-year-old daughter and Sky’s fiancée. Soprano or Mezzo G3 – E5. SAM CARMICHAEL (to play AAPI Male 40+) – a New York architect who regrets leaving Donna. Baritone or Tenor up to Ab4. HARRY BRIGHT (to play AAPI Male 40+) – Today, a respected banker. Back in the day, known to Donna as “HeadBanger.” Baritone or Tenor up to E4. BILL AUSTIN (to play AAPI Male 40+) – A well-known travel writer and adventurer, who is afraid of making a commitment. Baritone to D4. SKY (to play AAPI Male 20’s) – Sophie’s fiancé. A former stockbroker who later moved to the island. Tenor or Baritone up to Ab4. ROSIE MULLIGAN (to play AAPI Female 40+) – One of Donna’s friends who was part of her band. She is an author of cookbooks. Alto or Mezzo E3 – C#5. TANYA CHESHAM-LEIGH (to play AAPI Female 40+) – Another one of Donna’s friends, she has married three times, but has never quite found the right man. Mezzo or Alto E3 – C#5. PEPPER (to play POC Male 20s) – One of Donna’s employees who catches the eye of Tanya. Tenor or Baritone up to F4. EDDIE (to play POC Male 30s) – Along with Pepper is the bar-staff, waiter, boatman, and general help around the island. Tenor or Baritone. ALI (to play POC Female 20s) – One of Sophie’s oldest friends that was invited to the wedding. Mezzo up to Db5. LISA (to play POC Female 20s) – Another one of Sophie’s friends coming for the wedding. Mezzo up to Db5. FATHER ALEXANDRIOS (to play POC Male 40+) – The minister of the island who almost marries Sophie and Sky, and ends up marrying Donna & Sam. Bass or Baritone. MALE ENSEMBLE (to play POC Male 20-40) – Movers and Singers. Tenors: up to G#4 (Bb4). Basses: down to F2. FEMALE ENSEMBLE (to play POC Female 20-40) – Movers and Singers. Sopranos: G3 – G#5 (C6). Altos: down to F3. Submissions for Audition Appointments will be accepted through Sunday, February 10, 2019. 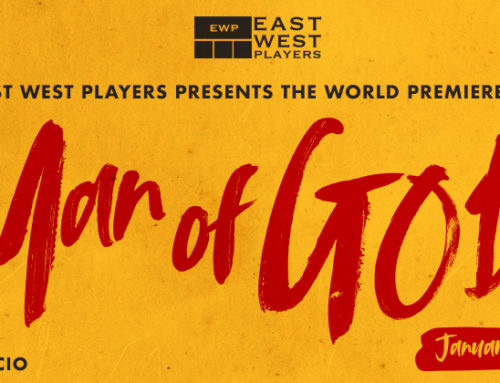 Agent and Personal submissions for Audition Appointments will be accepted through Actors Access and Breakdown Services OR email submissions can be sent to casting@eastwestplayers.org. PLEASE DO NOT SEND ANY DIRECT CORRESPONDENCE to Director, Casting Director, Choreographer, or any other Creative Team member. EPA OPEN CALLS FOR SINGERS, UNION AND NON-UNION: Monday, February 18, 2019, 11:00 AM – 3:00 PM @ East West Players, 120 Judge John Aiso St, LA, CA 90012. Walk-ins accepted starting at 10:30 AM, or sign up at AEA Office in advance. Preparation – One full song, Contemporary Musical Theatre or Pop (no longer than 1.5 minutes). Connect the words to story and character. DANCE OPEN CALL FOR UNION AND NON-UNION PERFORMERS: Monday, February 25, 2019, 12:00 PM (Ladies) / 1:30 PM (Guys) @ Evolution Studios, 10816 Burbank Blvd, North Hollywood, CA 91601. Walk-ins accepted starting at 11:30 AM, or sign up at AEA Office in advance. Preparation – Please dress in body conscious attire you can move in. Jazz shoes.